Lift, load and transport large hay bales with this fantastic Playmobil tractor and trailer. Use the bucket on the tractor to load the heavy hay bales onto the trailer. When you’ve loaded all the hay bales onto the trailer, get ready to drive through the fields. To unload, lift the trailer and watch as the hay bales roll off into the field. 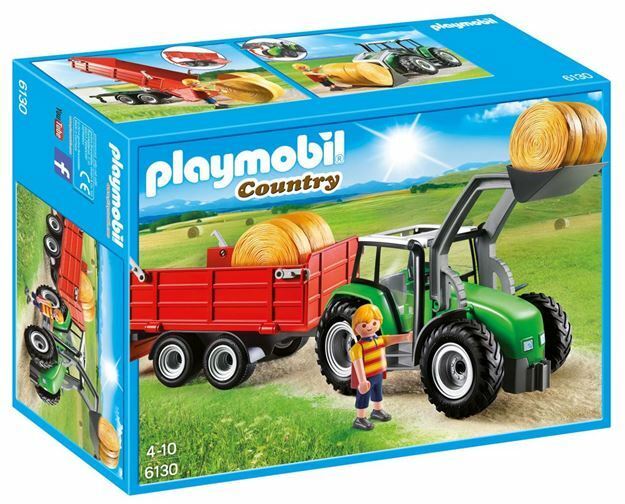 Includes: a figure, 2 hay bales, tractor and trailer. Part of the Country and Pony range. Age 4+ years. Distributed in New Zealand by Holdson.